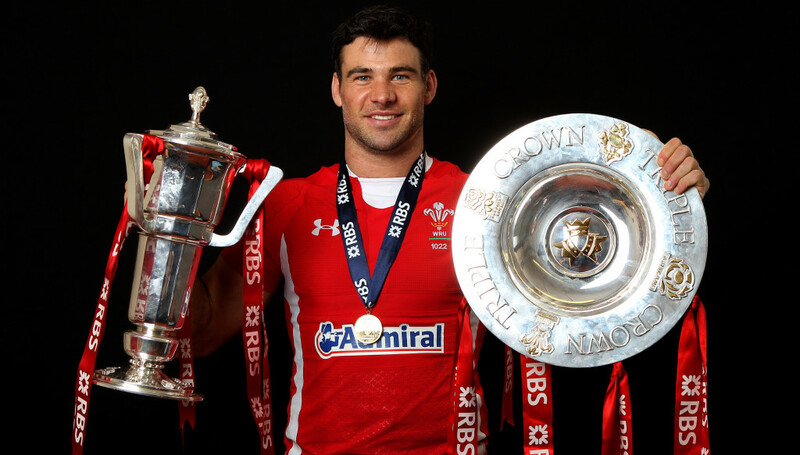 Former Wales and British & Irish Lions scrum-half Mike Phillips has left Jebel Ali Dragons by mutual consent after six months in charge of the reigning West Asia champions. The signing of the former Scarlets, Blues, Ospreys and Racing 92 No9 caused shockwaves in UAE rugby when it was announced in June, with the 36-year-old taking over from another famous name in Henry Paul – who left to be another former Welsh international Kingsley Jones’ No2 at Canada. After delivering the West Asia Premiership title last season – Dragons’ maiden trophy in four years – they have struggled under Phillips in 2018/19. They have lost five of their nine games this season and sit fifth in the standings, a distant 19 points off table-topping Bahrain, and were dumped out of the Dubai Rugby Sevens, losing 21-19 in the semi-finals to champions Dubai Hurricanes. Phillips has already been replaced, with former Scotland Under-16 and Caledonia academy coach Colin Philips named his successor. Despite their travails, chairman Stuart Quinn insisted club and head coach parted on amicable terms, revealing the “Mike Phillips effect” has had a huge impact on the club. Phillips won two Grand Slams and three Six Nations titles overall with Wales. “Mike and myself sat down about what was going to be happening in the second half of the season,” Quinn told Sport360. “We’re still in all four competitions so we wanted to talk about what we were going to do. But with Mike’s fledgling academy, media duties and new baby, we both realised he wasn’t going to be able to dedicate the time to the role that he felt it deserved. “With a new-born baby and a lack of availability throughout the upcoming Six Nations, it was going to make it hard for both of us, so we agreed it was for the best. Phillips is the joint sixth most capped Welshman of all-time with 94 games for the Dragons, alongside Colin Charvis and Jamie Roberts. 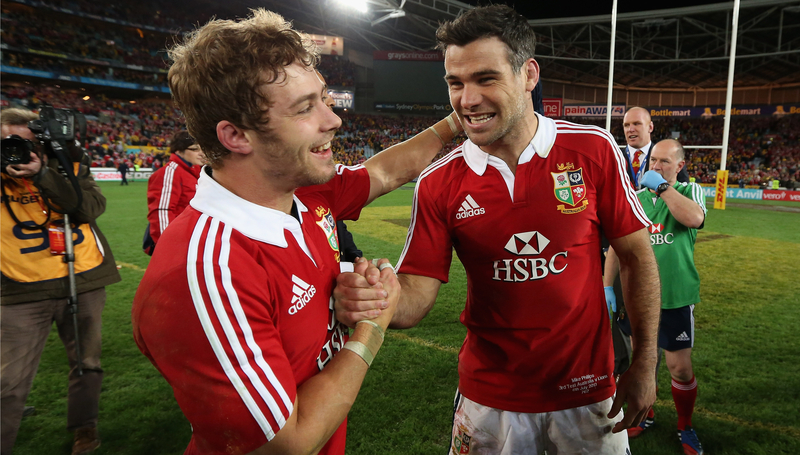 He represented the Lions on five occasions during the 2009 and 2013 tours to South Africa and Australia respectively. He only retired in 2017 and quickly moved out to the UAE, where he established his Mike Phillips Rugby Academy alongside Just Play in that December. 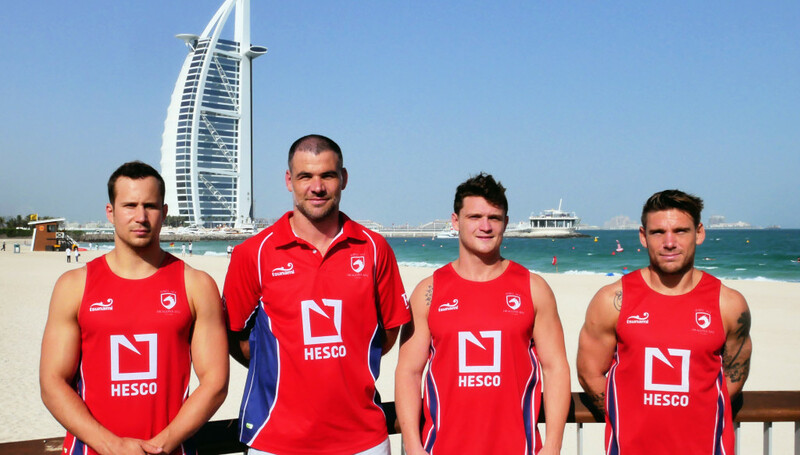 Mike Phillips (2nd l) pictured in Dubai with (from l) Dragons players James Love, skipper Ross Samson and Matt Richards shortly after his appointment. Namesake Philips, who is now working with UAE national team coach Apollo Perelini at his own rugby academy, will be in charge of Dragons for Friday’s game at home against Dubai Eagles as the Premiership season resumes. “The Mike Phillips effect means that on Friday I’ll be fielding three full strength teams in Abu Dhabi, and two games against Eagles,” added Quinn. In Friday’s other games, Hurricanes host league leaders Bahrain, while second-placed Abu Dhabi Harlequins welcome Dubai Exiles. Billy Vunipola admits he was “scared” and “anxious” when making his latest injury comeback for Saracens and that he intends to ease his way back to his best this time around. The 26-year-old England international returned from a broken arm in the Gallagher Premiership defeat at Sale on Friday night. That was the latest in a long line of injuries which have seen Vunipola pick up just four England caps since the autumn of 2016. 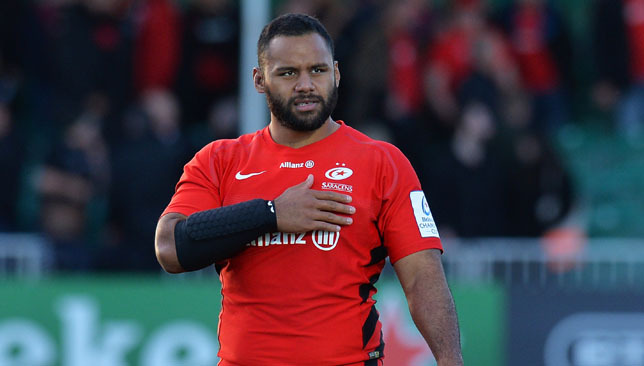 Although the number eight has been part of Saracens teams who have claimed three Premiership crowns and two European titles, Vunipola has spent time recovering from earlier broken arms, as well as shoulder and knee injuries. Those previous issues have seen Vunipola return this time with a more pragmatic approach. “My arms feel good, they are strapped up and protected now,” he said. “I think the thing I was worried about was being tired, but it wasn’t as much that on the weekend I was more trying to find my feet. “I was a bit tentative and anxious – I readily admit that now. Before I was a bit naive that I could fall straight into it, whereas now I am a bit more prepared. And scared as well. His cautious return led to a fairly unremarkable comeback performance in the loss at the AJ Bell Stadium. But Vunipola believes he can get back to his best in the coming games, starting with the Champions Cup clash with Lyon in France on Sunday, with England’s Six Nations campaign getting under way against Ireland on February 2. “I hope it (that fear) will go away,” he said. “That comes from the confidence of playing games week in week out, which I haven’t done consistently. “I think it’s a good thing. It will hopefully drive me and help me to protect myself better. “Hopefully these next few games I can stay injury free and my form can shoot up. I’m trying to stay out of the spotlight. Saracens coach Mark McCall echoed Vunipola’s comments and knows he has to improve on his comeback display if he is to think about starting the Six Nations. “Ordinarily he comes back with a storming performance but this time it was a bit more tentative,” he said. “Maybe that’s understandable because his return was delayed a week because the consultant was a bit nervous about the arm and Billy was too. Asked if Vunipola could still manage to feature in the Six Nations, McCall added: “Yeah, probably. But he’ll have to play better than he did last weekend. Munster moved to the top of Guinness PRO14’s Conference A after edging out Connacht 31-24 in a seven-try shootout at the Sportsground. Returning captain Peter O’Mahony and man-of-the-match Joey Carbery, who scored 16 points, played crucial roles as Johann Van Graan’s men built on last week’s derby success against Leinster to replace Glasgow at the top of the conference. Converted tries from O’Mahony and Dan Goggin cancelled out Tom Farrell’s opportunist seven-pointer as Munster took a 14-10 half-time lead. Cian Kelleher and Goggin swapped tries in the second period, the latter score sparking a run of 17 points from the victors whose 63rd-minute bonus-point try was run in by Carbery. Connacht set up a grandstand finish with a brilliantly-worked Jack Carty try eight minutes from the end, but Munster’s strength-in-depth proved too much. Both Van Graan and Andy Friend made changes to winning sides from the last round, with one eye on next week’s return to European action. Illness prevented Denis Buckley from running out for his 150th Connacht appearance, but their debutant centre Tom Daly made an early impression with a powerful break. The opening try arrived a few minutes later, Farrell impressively ripping the ball from Arno Botha’s grasp and racing clear from the hosts’ 10-metre line. Carty converted but Connacht blew their next opportunity as Tadhg Beirne stole a key lineout. After Alby Mathewson tackled Caolin Blade into touch, Munster upped the tempo in attack with Chris Farrell getting over the gain-line and deft hands from Carbery and Keith Earls sent O’Mahony over for a slick try which the fly-half converted. The men in red kept hold of territory, dictating through their tactical kicking and forward play. TMO Simon McDowell adjudged that prop John Ryan was stopped short before Munster used the resulting five-metre scrum to spring centre Goggin over from close range. Carbery’s simple conversion opened up a seven-point advantage. Crucially, Connacht began to claw back some of that territory with Caolin Blade winning an important penalty and Matt Healy’s pace bringing them past halfway. O’Mahony infringed at a ruck and handed Carty the opportunity to rifle over three points with a well-struck final kick of the half. Connacht enjoyed a blistering start to the second period as Tom Farrell found a gap between Chris Farrell and Goggin and spun a pass wide for winger Kelleher to finish off. 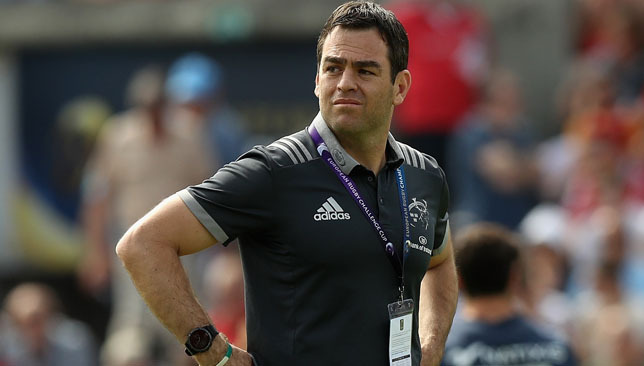 Carty supplied the extras but Munster’s strong bench made its impact. While Connacht were missing Bundee Aki and skipper Jarrad Butler, Munster had the luxury of introducing Conor Murray and CJ Stander and a terrific third try got them back on track. Some slick handling released Alex Wootton up into the 22 and Mathewson’s looping pass bounced up for Goggin to complete his brace near the left corner. A conversion and an 18-metre penalty from Carbery widened the gap to 24-17, and with O’Mahony continuing to exert influence at the breakdown and on the opposition lineout, Munster were rewarded with the bonus point. The maul sucked Connacht in and replacement Tyler Bleyendaal’s long pass put Carbery in. The home crowd erupted when Carty went under the posts to complete his 14-point haul, but the swiftly-converted try was only enough for a losing bonus point.